The August Lookbook. This non-beauty related post includes little things I'v loved throughout August, including my favourite quote I have heard or read this month, a fact about me, other blog posts that I have enjoyed or found inspiring/helpful/interesting to read, my favourite Youtube video and much more! Memory: I have had many good memories from August but my favourite definitly has to be my week in Dubai. It was George and I's first beach holiday for two years (apart from Barcelona but we didnt really class that as a beach holiday- more of a city break!) and it was so amazing. Words can't describe all the memories we made but one of our funniest memory of the trip was our taxi driver called Tariq! He made us laugh just by the little things he came out with, without even knowing! certainly made it a night to remember for the both of us! See my blog post on Dubai here. 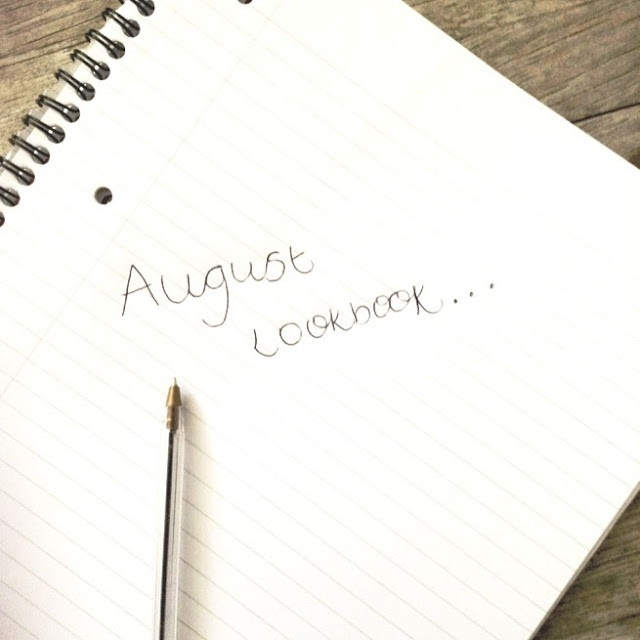 Blog: This month, as per every other month, I religously read the lifestyle and beauty posts from the likes of Tanya Burr, Lily Pebbles, Amelia Liana, Zozebo etc, etc, no suprise there. However since becoming a bblogger, I have become really interested in photography, design and art. VeryKerryH is a very talented interior designer who writes a blog about ways in which you can design your own home, and products that she thinks would look great in your humble abode. Very British! She also writes regularly for an interior design magazine called 'heart and home' fitting all this in between working as a talented freelance graphic designer for television. If you like the sound of this then check it out here! YouTube Video: Being a dancer, I absolutely love to youtube dance clips. I could spend all day hopping from beauty to dance videos and wouldnt even see the hours go by! I get so emersed in the dance and the performance I find myself stacking up their views by watching it over and over! Having been a dancer for 19 years, I can really relate to the hardwork and effort and time it takes behind choreographing a piece of work, rehearsals, through to performance in front of an audience! Heres one of my favourite clips performed by Alleviate (Runners up on Got to dance) performing at MOVE IT 2012! I actually attended Move It in 2012 and was lucky enough to be in the audience and watch it live! Alleviate- Move it 2012-http://www.youtube.com/watch?v=OEg76k6UczA. Quote: At the moment I have been feeling a little anxious about certain things coming up in the near future, and when I feel like this, hearing and readign positive things really helps me to relax. A quote that lifts my spirit is 'life is what you make it' I know it sounds cheesy but it helps remind me to try and find a positive out of every negative, which should ultimately make me feel better! TV show: I have so many favourite TV Shows! This month I have been loving loving loving Britian and Irelands next top model! Every week is suspense on whos getting the boot but ahh I love it. Mother and I make sure we watch it together with a glass of wine. Perfect. My money is on Sarah to win as she's really querky and different! However I think that Lauren is more high end catwalk kind of model and Emma is more editorial (I think) so its a tough one! We will see I have the last two to watch tonight which I am very much looking forward too. Colour: I have been loving orange this summer! Orange lipstick, orange lip gloss, orange clothes, orange eyeshadows, orange nail varnish and the list grows. Orange and peachy things look so lovely in the summer, especially paired with a good golden sun tan! who can resist the orange!? Fact about me: I am a lover of marmite! I must admit that I don't like it spread thick, however I can never turn down marmite on toast! It tastes really good with a small layer of peanut butter on top! Try it, I hated peanut before but now I love it! So there we have it. Augusts Lookbook! Don't forget to follow me on twitter and add me on instagram for daily updates!